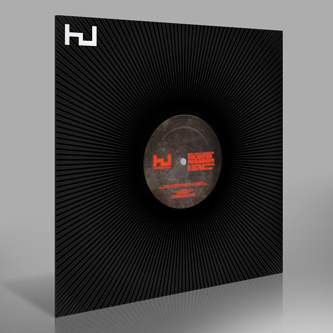 Totally inspired signing to Hyperdub, this. 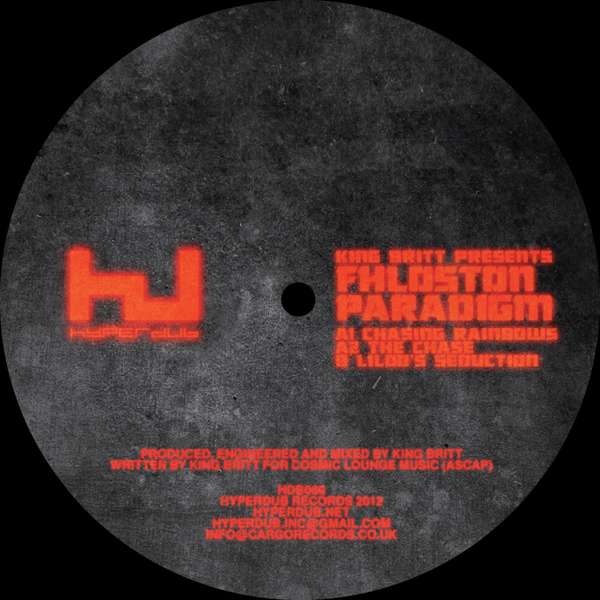 Having caned his tracks in his DJ sets for some time now, Kode9 has got round to putting out an EP from Fhloston Paradigm, the all-analogue beatdown project of Philly house vet King Britt. 'Chasing Rainbows' - shades of Shed 7 there, eh - is a commanding opener, it's stately strings and dystopian burnish summoning first-wave Detroit techno while somehow sounding totally next-level - Britt has talked about his Fhloston gear as being what he would have made if he'd been asked to score a Blade Runner or a Logan's Run, and it really comes across in the clean contours and relentless forward motion of this badboy. 'The Chase' is an even tougher, trippier bit of renegade synth science, all choppy breaks and dizzying, narced-out arpeggios suffused with an unmistakeable vibe of Ra-style afro-futurism - it's only eight minutes long, but by its end you feel like you've travelled to Saturn and back. 'Lilloo's Seduction' is even more expansive, the beats dispensed with all the better to shed light on Britt's absolute mastery of his machines. Space is the place, and this is an essential 12".